Do you wish you could makeover your smile without having to endure multiple cosmetic treatments like orthodontics and teeth whitening? Now you can get the perfect smile of your dreams with a single treatment with veneers! Veneers are thin strips of tooth-colored porcelain that are bonded to the visible surface of the tooth to improve its appearance. Veneers can improve a single problem tooth or your whole smile with a full set! Veneers can make your smile whiter, straighter, and more beautiful than you ever thought possible. In order to place your veneers and ensure the strongest bond for the longest-lasting results, a small amount of the preparation of the natural teeth is necessary. Because some removal of healthy tooth is still required, veneers are an irreversible procedure – once you get veneers, you will always have veneers. But never fret, all of our veneers patients are thrilled with their results! With traditional veneers, your first visit will include preparation of the natural teeth and placement of temporary veneers. Your designs will be sent off to a lab to be created, and you will return for a second appointment for the final placement. Viola! A brand new, beautiful smile is as simple as that. We are also thrilled to offer Lumineers®, which require less preparation of the natural teeth and we can often complete the whole process in a single visit! No multiple appointments, no temporaries, come in and leave with a brand new smile the same day! Lumineers® are the #1 patient-requested brand of veneers because they are thinner than traditional veneers and require less removal of healthy structure to place, and can often be placed in a single visit! If you’re looking for the most conservative way to makeover your smile, we would love to talk with you about Lumineers®. All in a single treatment! 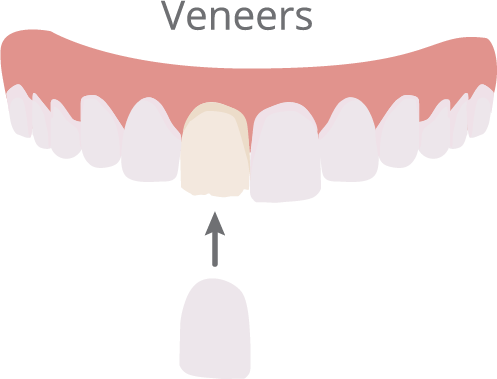 If you have any questions or would like to learn more about veneers, or are ready to schedule an appointment with your Cypress dentist – Dr. Kyle Todd at Cypress Springs Family Dentistry – give us a call today at (832) 593-7400 or schedule a visit online!